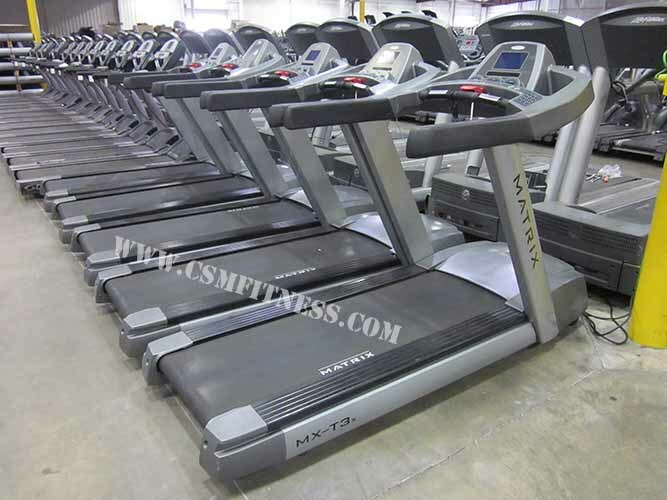 This Matrix MX-tX3 Treadmill boasts a sleek Steel frame with transport wheels. It features wireless heart rate monitoring as well as pulse grip sensors. The speed ranges from 0.5MPH-12.4MPH. It offers Quick Start and 8 workout programs. It comes woth a 3.2hp DC drive motor that runs quietly and smoothly. It is equipped with the Ultimate Deck ™ which ensures optimal belt life, as well as Variable Compression Technology for exceptional user comfort.